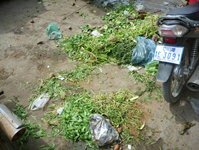 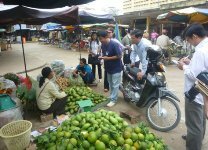 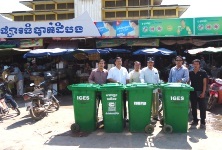 In July 2012 COMPED, IGES (Japan) and the Phitsanulok Municipality (Thailand) started a project to promote composting of organic waste for climate change mitigation in Battambang city. 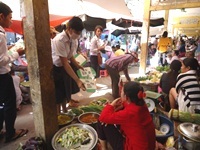 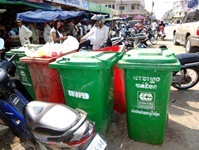 The main activities of the project are the promotion of waste source separation at and around the markets “Psa 13 Makara”, “PsaThom Battambang” and “Psa Boeung Chuk” and collect data of waste quantity and estimation of GHG emission reduction. 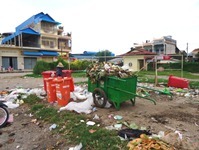 The idea is to teach the local people about the importance of a regulated and efficient waste separation for the environment, but also to contribute the needed materials for these actions. 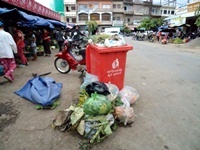 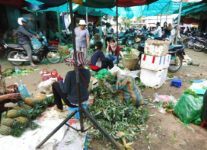 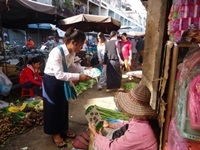 Inform the stakeholders about the new strategies and also contributed many waste bins for each market, so the organic waste can easily be separated. 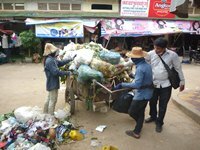 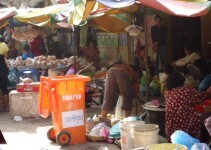 On top of that information posters and hand outs were given not only to the waste collectors but also to the neighborhood of the markets, so they know how to handle their waste management in the future.